Fifth Wall, an iPad app designed by Abbott Miller for 2wice Arts Foundation, presents an enticing new platform for the performing arts, writes Sarah Snaith. 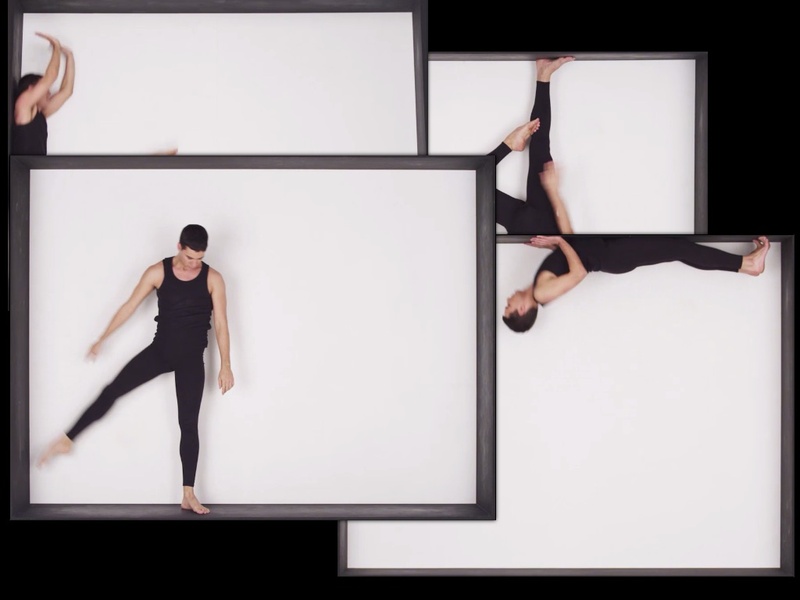 Choreographer and contemporary dancer Jonah Bokaer moves with ease from edge to edge as the camera pirouettes around a central axis and flips the black-rimmed, iPad-proportioned ‘stage’ on its head. The app user can switch between preset screen-modes (above and below), or interact intuitively with the performance space, moving the four frames around the iPad’s surface. Tap the iPad screen twice and a single performance fills the space. While parts of the choreography begin to repeat themselves, the variety provided by the different pinch gesture capabilities and screen modes make this app quite compelling, and difficult to put down. Below: more about Fifth Wall on vimeo. Fifth Wall’s score was co-composed by Eric Beach, Josh Quillen, and Jason Treuting of So Percussion. Video direction by Ben Louis Nicholas. Concept and design: Abbott Miller / Pentagram. Credits; Kristen Spilman and Andrew Walters, designers. Development: Eddie Opara, Pentagram ‘partner-in-charge’ and designer; Frank LaRocca, Hunter Cross and Ken Deegan, developers. Produced by Patsy Tarr / 2wice Arts Foundation. 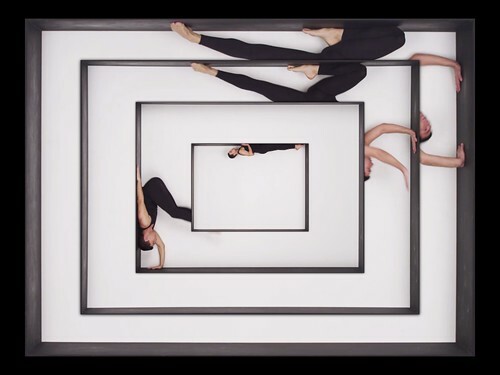 Choreography by Jonah Bokaer. Sound by Jared Hutchinson. See our ‘Reputations’ interview with J. Abbot Miller in Eye 45. See also ‘Merce Cunningham Event’ from 2wice. Eye is the world’s most beautiful and collectable graphic design journal, published quarterly for professional designers, students and anyone interested in critical, informed writing about graphic design and visual culture. It is available from all good design bookshops and online at the Eye shop, where you can buy subscriptions and single issues. Eye 82 is out now, and you can browse a visual sampler at Eye before You Buy. Eye 83 is now being bound.